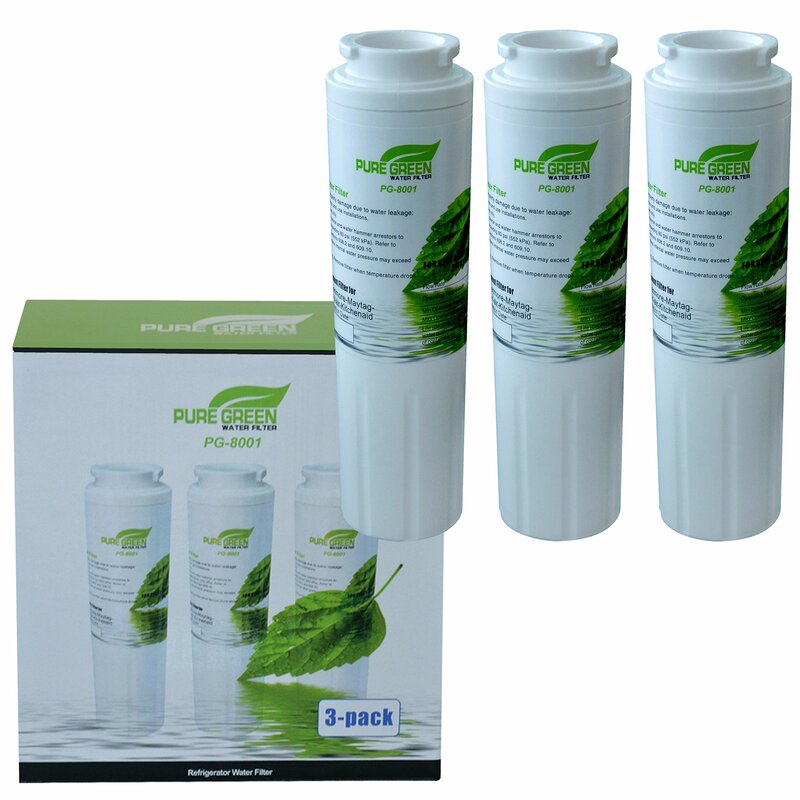 Home › 3 Pack Refrigerator Water Filter Replace Maytag Amana Kenmore Jenn-Air Whirlp..
3 Pack Refrigerator Water Filter Replace Maytag Amana Kenmore Jenn-Air Whirlp..
is a compatible replacement for the following refrigerator filters: Replaces Maytag: 12589201 4396395 67003591 12589203 67003727 12589206 12589208 13040210 67002671 67003526 67006464 67006467 67006474 67006633 67006637 UKF8001 UKF9001 UKF8001AXX UKF9001AXX Replaces Sears / Kenmore: 46-9006 469006 9992 9006 46-9992 469992 4609992000 4609006000 This is compatible can be used in refrigerator models from Maytag, Whirlpool, KitchenAid, Amana, Jenn-Air, Viking, and more. 3 Pack Special! The UKF8001 is a compatible replacement for the followingrefrigerator filters: Replaces Maytag: 12589201 4396395 67003591 1258920367003727 12589206 12589208 13040210 67002671 67003526 67006464 6700646767006474 67006633 67006637 UKF8001 UKF9001 UKF8001AXX UKF9001AXX ReplacesSears / Kenmore: 46-9006 469006 9992 9006 46-9992 469992 4609992000 4609006000This is compatible can be used in refrigerator models from Maytag, Whirlpool,KitchenAid, Amana, Jenn-Air, Viking, and more. The OnePurify RFC0900A filterproduces cleaner drinking water and ice for better tasting beverages free ofchlorine taste and odor. Used in refrigerators by Maytag, Whirlpool,KitchenAid, Amana, Jenn-Air, Viking, and others Specifications: MATERIAL: NSFCoconut shell Activated Carbon; MICRON RATE: 0.5 Micron OPERATING TEMP. :39-125 degrees Fahrenheit MAX. OPERATING PRESSURE: 20-120psi FLOW RATE: 0.9GPM FILTRATION LIFE: 6 months/400Gal Depends on water quality and level ofcontaminants. Benefits of the Filter: Removes chlorine, taste and odor Doesnot remove beneficial minerals. The Activated Carbon Block Filter inside hasNSF42 APPROVAL. The quality of the filter is the same as the branded filter.All filters are certified to be free from leaks if properly installed and tofunction with the latest modifications from the OEM. All components NSF-42certified. Manufactured in an ISO9001 facility.